Elevators are extremely common fixtures in both commercial and residential properties. When you install a new elevator in Salt Lake City , you can rest assured that your commercial elevator will be safe, efficient, and easy to use. Some property owners may hesitate to install an elevator due to myths about elevator safety. In Hollywood movies, a falling or trapped elevator is a common trope. However, elevators are actually incredibly safe, and are specifically engineered to prevent these problems. 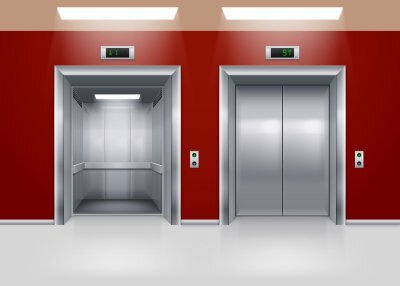 To highlight the safety features of new elevators, here is a look at some of the most common elevator myths. One common myth about riding an elevator is that passengers will be able to climb to safety if they become trapped. Movies have depicted brave passengers opening an emergency hatch and shimmying up the elevator shaft so that they can fetch help. In fact, it is only possible to exit the elevator through its main doors. This allows safety personnel to safely access the car and passengers in the event of an emergency. A person who is phobic of elevators may be concerned that too much weight will cause the braking and cable system to fail. In reality, an elevator that is too weighted down will remain in place until its load is lightened. Using special safety technology, the elevator is able to sense when it is overloaded and prevent movement until some of the passengers have stepped off board. 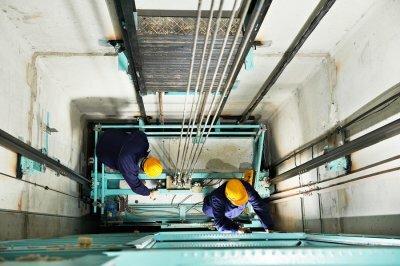 Perhaps one of the most common myths about elevators is that they could be in danger of free falling down their shafts if a brake failure occurs. Elevators are actually equipped with advanced suspension systems that are able to completely prevent the car from falling. In order to ensure the safety of an elevator car, it is important to have these cables inspected on a regular basis. An elevator is designed to provide your employees and customers with easy access to every floor of your building. In order to ensure the safety of your elevator, it is important to schedule elevator maintenance before a serious problem arises. With services from a company that specializes in elevators serving Salt Lake City , you will be able to address any type of elevator issue that may be affecting the safety and performance of your system. To help you determine when it is time to set up commercial elevator repair, here is a look at three signs that your elevator is in need of professional maintenance. During an elevator inspection and maintenance procedure, your technician will use your elevator’s control panel to assess the safety and quality of the system. If your elevator control panel is covered in dust and debris, this is a sign that it has not been opened or inspected in a long time. When you start to notice that your control panel is gathering dust, it is time to set up a maintenance appointment. When an elevator stops at its assigned floor, the elevator car should stop completely flush with the opening. If your elevator is in need of repair or maintenance, you may start to notice that your elevator car stops have become misaligned. As the elevator cables stretch or wear out, they will no longer be able to carry the car to the correct position. In order to adjust your elevator car stops accurately, you may also need to set up a cable brake adjustment. A properly functioning elevator will travel smoothly and quietly between floors. If you or your employees have started to notice squeaking or squealing noises as your elevator is in operation, this could indicate a problem with your cables and pulleys. An elevator maintenance professional can tighten and adjust your cables and make sure that your elevator operates smoothly for all of your business needs.